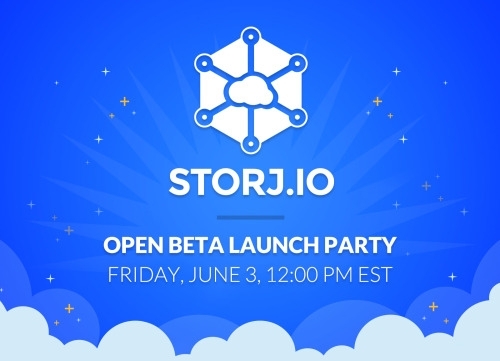 Storj, a decentralized cloud storage platform, has announced that it is going to demo the open beta of the Storj network, along with its decentralized object storage service at the Storj Launch Party to be held on June 2, 2016 in Berlin. “We are excited to celebrate this release in Berlin, home of the largest Storj community in Europe and some of our most talented contributing developers. Inspired by the entrepreneurial energy and the incredible pace of innovation in the German capital, we are fired up to celebrate our open beta there!” Storj said in a blog post. Storj Labs' CEO Shawn Wilkinson will announce the open beta of the Storj network at the event. The following day, the Storj team will be hosting a Google Hangout session and will be taking questions live from the #chat channel on Slack. In addition, Storj also confirmed its presence at Decentralized & Encrypted, a BlueYard event held in Berlin on June 1, where CEO Shawn Wilkinson will be presenting the decentralized vision for object storage. The beta version of the Storj platform was launched in April. The platform enables software developers to push and pull data for their applications on a decentralized network. Storj aims to offer a completely decentralized, secure, and efficient cloud storage service that can’t be censored or monitored, or have downtime. Storj Labs, the company born out of the open-source Storj project, announced last month that it is joining the Microsoft Azure Blockchain-as-a-Service (BaaS) ecosystem to bring its service to an enterprise audience.